In our last post, we studied a few details of the regions where saltpeter could be found in India, as well as the establishment of European trading posts in India. We will study more about this, as well as the production process in India. As we saw in our previous post, the English East India Company started importing saltpeter in a small way in the 1630s. In the early days, raw nitrated earth was being used as ballast in the East India Company ships, but the fact that it took eighteen months for a ship to make a round trip from London to India and back meant that the company needed to place orders and make payments for saltpeter well in advance of delivery, and there was not a guarantee of finding a buyer later either. However, after the English Civil War in the 1640s, it became profitable to start shipping saltpeter and in 1643, the East India Company found it profitable to refine the raw nitrated earth into saltpeter in their Indian warehouses, before shipping it out. By 1644, they established their own refinery in their trading post at Ahmedabad in India's west coast. However, the saltpeter in this region was of a rather coarse quality. Reports of high-quality saltpeter being produced around India's east coast in the Bengal region began coming in, therefore the East India Company directors sent a message to its traders in December 1650, telling them to establish a post in this area, to trade in "saltpeter, silk and sugar". The importance of saltpeter in establishing the new trading posts is evident, because the directive was to invest at least half the capital stock in saltpeter alone, and this was the only commodity for which any debt was to be allowed. With large orders of saltpeter coming in from the English government in the 1650s, the company had a guaranteed buyer and made the decision of building trading posts in India's eastern parts, with saltpeter being a major item of trade here. By establishing trading posts in India's east coast, the English came into competition with the Portuguese, who had already established trading posts in this area since the 1530s, and the Dutch, who had also established trading posts here earlier. The regions of Bihar and Bengal were already producing saltpeter in the 1450s, well before the first European had landed in India, as mentioned in our previous post. The towns of Patna and Chapra in Bihar were two important centers of saltpeter trade (Patna is now the modern day capital of Bihar state in India, while Chapra is now much less important than before) and the East India Company set up in Patna in 1658. The person in charge of purchasing the saltpeter for them in was one Job Charnock, who later went on to set up the company headquarters in a little place called Calcutta, which later grew to become a large city and the seat of British power in India. Around the same time, the area around Patna and Chapra had saltpeter refineries established by the Dutch, Portuguese, French and British, all vying for a bit of the business. We have the account of a French traveler, Jean-Baptiste Tavernier, from 1666, where he mentions that on a visit to Patna, "The Holland Company have a house there, by reason of their trade in saltpetre, which they refine at a great town called Choupar (Chapra). Coming to Patna, we met the Hollanders in the street, returning from Choupar, who stopped their coaches to salute us. We did not part till we had emptied two bottles of Shiras wine in the open street, which is not taken notice of in that country, where people meet with an entire freedom without any ceremony." In another section of his memoirs, he notes that "The Dutch have established a depot at Chapra; and the saltpetre being refined there, they send it by river to Hoogly. They imported boilers from Holland, and employed refiners to refine the saltpetre for themselves; but have not succeeded, because the people of the country, seeing that the Dutch wished to deprive them of the profits of refining, would not supply them any longer with whey, without the aid of which, the saltpetre cannot be bleached, for it is worth nothing at all, if it is not very white and very transparent." We have some European accounts of the production process in India. The earliest details of the process date from the 1620s, from a Dutch merchant named Francisco Pelsaert and an English merchant named Peter Mundy. Pelsaert was based in Agra, Northern India for 7 years, on behalf of the Dutch East India Company, while Mundy was in Surat on India's west coast in 1628. They note that the process started by collecting black earth and placing it in a shallow reservoir, which was flooded with water and the earth was trodden by workers until a paste was formed. The water was allowed to stand for two days after which it was run off into a second shallow reservoir close by, where a deposit of crude saltpeter settled. The liquid was then evaporated by boiling in iron pans, with some impurities being skimmed off the surface. The reminder was then placed in large earthen jars and left overnight, whereupon the heavier impurities sank to the bottom of the pots. The pots were then broken to free the saltpeter crystals, which were then dried in the sun. the best that has gone from these parts, of twise boyled, occationed by the convenience of a warehouse which Mr. Charnock has built on the river side, neere our petre men, that now he viewes all they bring in, if bad, returnes it to be by them boyled over againe. Also, the whole yeare they may be bringing it by water. So that now, if [we] had monyes, 1000 tonns might easily yearly be procured. For his efforts, he was promoted to senior merchant in 1666 and became third in the company hierarchy for Bengal by 1676 and second in charge by 1679. The yield of saltpeter from Bihar and Bengal was huge and by the late nineteenth century, over 20,000 tons of saltpeter were exported annually from Bihar alone. One John Stephenson observed in 1835 that practically every village in Bihar was producing saltpeter for centuries. Many of these villages were small and only produced about 5 maunds (375 lbs. or 170 kg.) 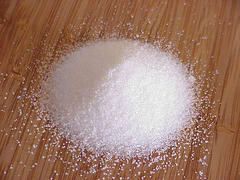 per season, but since there were so many of them, the total saltpeter production added up to a huge quantity. The climatic and soil conditions in many parts of India were suitable for saltpeter production, but it was particularly so in Bihar and Bengal, where the procedures were well established in the villages for centuries. In the next post, we will study the process in detail.